It was the race of the century folks, Hot Air Balloon against Passenger Train. 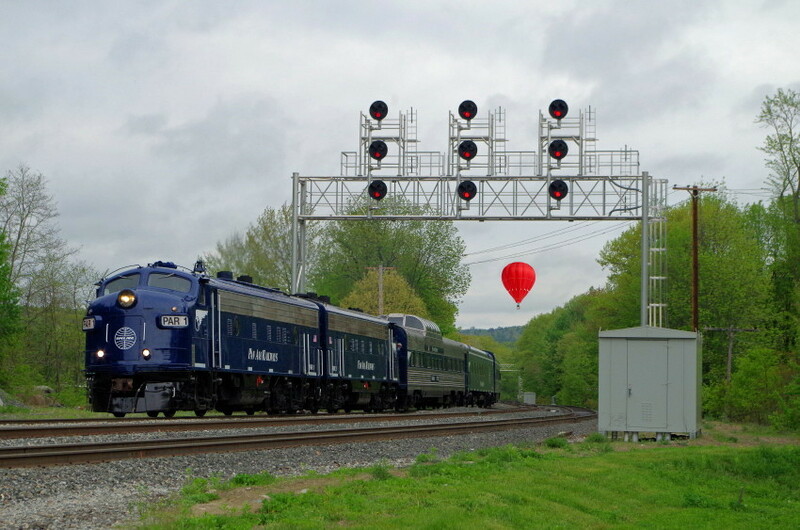 Here the Passenger Train is ahead as it surges past the signal bridge at Wachusett. Do I have an imagination or what? Photographed by Bruce Macdonald, May 17, 2018.